Flora “Win Thomas’ Tesla” Sweepstakes – Win a used 2018 Tesla! Win a 2018 Tesla Model 3 (vehicle is used)! ELIGIBILITY – The Promotion is open only to legal residents of the fifty (50) United States, the District of Columbia and Canada (excluding Quebec), who are 21 years of age or older at the time of Promotion registration. 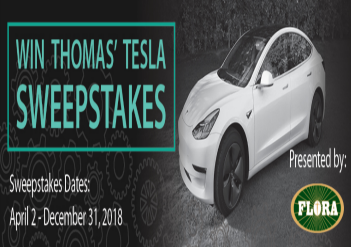 SWEEPSTAKES ENTRY PERIOD – Win Thomas’ Tesla Sweepstakes presented by Flora (“Promotion”) begins at 9:00:00 AM Atlantic Time (“AT”) on April 2, 2018 and ends at 11:59:59 PM AT on December 31, 2018. – One (1) used 2018 Tesla* Model 3 (the “Vehicle”). – At the conclusion of the Promotion, the Sponsor will perform their own valuation of the vehicle. In the event that the estimated value of the vehicle is lower than the ARV listed within these Official Rules below, the difference will be awarded to the Winner in the form of a check. – Sponsor will work with Winner to take care of any additional fees such as tax, title, and fees on the Vehicle. – Sponsor will coordinate the delivery of the car with the Winner and the Vehicle will be fulfilled approximately Sixty (60) days after Winner verification. The Approximate Retail Value (“ARV”) of the Sweepstakes Grand Prize is $50,000 USD/ $64,199 CDN. 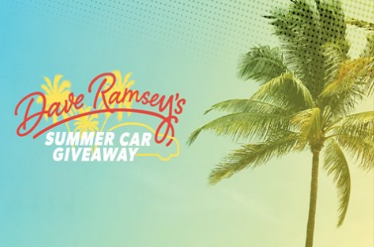 Dave Ramsey’s Summer Car Giveaway Sweepstakes – Win a car + $2,000! Win a car & $2,000 (4 winners)! 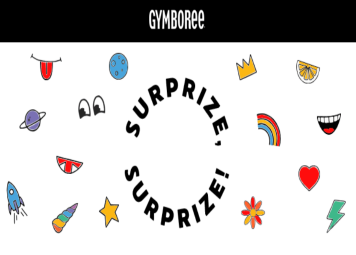 SWEEPSTAKES ENTRY PERIOD – Sweepstakes begins May 1, 2018 and ends May 31, 2018. 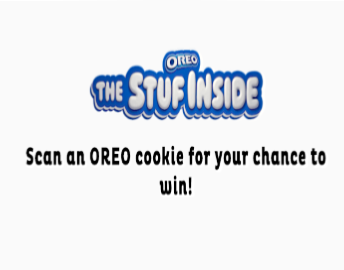 PRIZES – A total of four (4) Entrants, one entrant per entry period, will receive a prize. A prize is an automobile delivered by a Ramsey Solutions team member or Ramsey Solutions’ selected third party vendor and $2,000 USD. Automobile values are approximate, and the selection of the prize automobile is in the sole discretion of Ramsey Solutions and the sponsor of this giveaway. Ramsey and sponsor will exercise good faith in selecting an automobile with a retail value of up to approximately $12,500.00, exclusive of taxes and other charges which will be the responsibility of the winner. Winners are entitled to an automobile plus $2000 cash only. 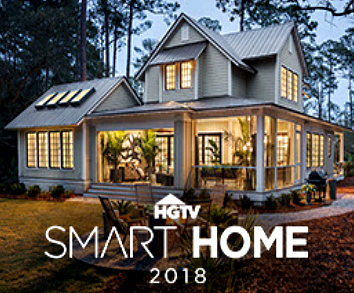 HGTV 2018 Smart Home Sweepstakes – Win the 2018 Smart Home & more! Win the 2018 HGTV Smart Home, $100,000 & more! ENTRY LIMIT – limit one (1) online entry, per valid email address, per eligible person per day, per entry site. 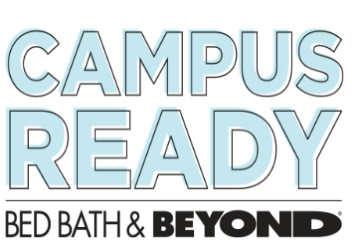 ELIGIBILITY – This Sweepstakes is open only to legal residents of the U.S. and its territories, possessions and commonwealths who are 21 years of age or older as of April 16, 2018. 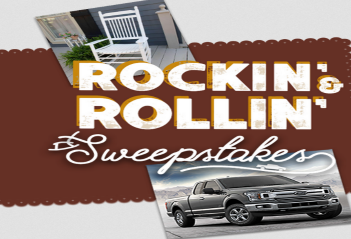 SWEEPSTAKES ENTRY PERIOD – Beginning at 9:00 a.m. Eastern Time (“ET”) on April 17, 2018 until 5:00 p.m. ET on June 7, 2018. PRIZES – Grand Prize: One (1) Grand Prize Winner shall win the Grand Prize, which consists of: (i) the home located in Bluffton, SC (the “HGTV Smart Home 2018”) that is featured in the “HGTV Smart Home 2018” special (including home furnishings, fixtures, artwork, and merchandise) (approximate retail value (“ARV”): $1,482,986; (ii) One Hundred Thousand Dollars ($100,000) (awarded in the form of electronic funds transfer) courtesy of Quicken Loans (the “Cash Prize”). (iii) a 2018 Mercedes-Benz GLC 350e 4MATIC Plug-in-Hybrid automobile (MSRP: $49,999) (the “Mercedes-Benz Prize”). Actual value of HGTV Smart Home 2018 depends on market fluctuations. 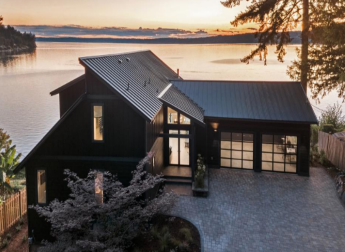 In lieu of taking title to the HGTV Smart Home 2018 (and the contents of the HGTV Smart Home 2018), the Grand Prize Winner will have the option of receiving $600,000 in cash (the “Cash Option”). If Grand Prize Winner elects to take the Cash Option, the Grand Prize winner will still receive the Cash Prize and the Mercedes-Benz Prize. If the Grand Prize Winner cannot take possession of the HGTV Smart Home 2018 due to a force majeure event, failure of construction, or any other reason as determined by Sponsor in its sole discretion, Grand Prize Winner shall receive the Cash Option, Cash Prize and Mercedes-Benz Prize. Total ARV of Grand Prize is $1,632,985 if Grand Prize Winner takes title to the HGTV Smart Home 2018 or $749,999 if Grand Prize Winner selects the Cash Option in lieu. Evening’s 25TH Annual Best of Western Washington Sweepstakes – Win a $10,000 gift card for a car purchase! 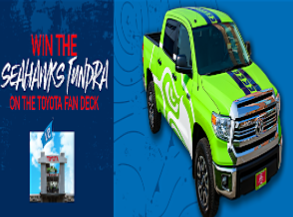 Win a $10,000 gift card to use toward the purchase of a car at Honda of Seattle or Toyota of Seattle! ENTRY LIMIT – Maximum one (1) registration per person. Earn bonus entries for each vote. 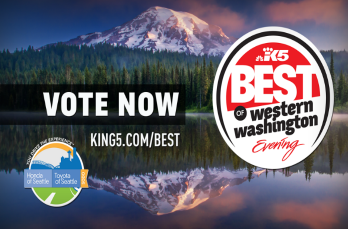 ELIGIBILITY – Evening’s 25TH Annual Best of Western Washington – Presented by Honda of Seattle and Toyota of Seattle (the “Sweepstakes”) is open to legal residents of the State of Washington who are 18 years or older at the time of entry. SWEEPSTAKES ENTRY PERIOD – The sweepstakes will begin on September 4, 2017 at 8:00 AM Pacific Standard Time and will end on October 29, 2017 at 11:50 PM Pacific Standard Time. PRIZES – Grand Prize: One (1) Grand Prize Winner will receive a $10,000 gift card (“credit”) to use toward the purchase or lease of any new or used vehicle available (“in stock”) on the HondaofSeattle.com or ToyotaofSeattle.com online express store(s). In-stock means the product is physically available for sale or lease at the Honda of Seattle or Toyota of Seattle business address of 2005 Airport Way S. Seattle, WA 98134.